South Boston Candlepins has been a family run bowling alley for over 20 years, and those who walk through their doors love the fun and nostalgic environment South Boston provides. While many bowling alleys have moved to the more common tenpin bowling, South Boston has stayed true to its roots, and customers flock to them for parties and events because of this. To keep up with this demand, South Boston Candlepins has utilized PlaceFull’s online reservation system. 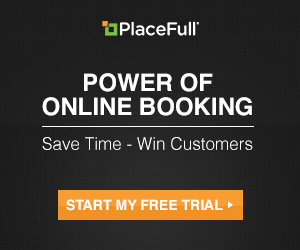 PlaceFull gives them the ability to stay on top of bookings for parties, events and more. South Bowl Candlepins began using PlaceFull almost nine months ago, and the business has seen remarkable results. Owner of South Bowl Candlepins, John says PlaceFull “allows us to interact with the community, allowing people to book their bowling ahead of time.” They have seen an increase in the number of bookings for their parties and events, and especially love the ability to integrate booking within their social media. PlaceFull’s booking software gives customers the flexibility of booking on their time, which allows for less time spent on the phone and more time spent with their customers. PlaceFull incorporates social media integration, something South Boston Bowling has found to be huge advantage and put them above and beyond their competiton. Booking options are available directly on South Boston’s Facebook page, which allows customers to book all of the events and parties they want on a variety of platforms, hassle-free. In fact, posting and integrating social media platforms has been proven to increase the amount of events and parties booked by customers. Just ask John! He says that since South Bowl integrated their facebook with PlaceFull, the alley has seen the increase in bookings for themselves! South Boston Candlepins is a great example of how PlaceFull works with bowling centers all over the country. They found it hard to create a clean and easy to use website that made navigating simple. Luckily, PlaceFull rebuilt South Boston’s website, making it easy for customers to get exactly where they want and enjoy the experience while they do it. At PlaceFull, we understand that the customer service provided by bowling centers is a huge component of their business so we have made it a huge part of ours as well. John says, “everyone who works on our account has been great to work with and have helped do exactly what they told us they would do.” With round the clock support from real people, PlaceFull always want to make sure our products line-up seamlessly with the mission of our customers. Visit PlaceFull today for more information, or give us a call at (206) 624 – 0295! It’s Official – PlaceFull & Color Me Mine Partner!